The context is determined by the structure of the existing hotel complex and its position in the pinewoods along the Mediterranean Sea. 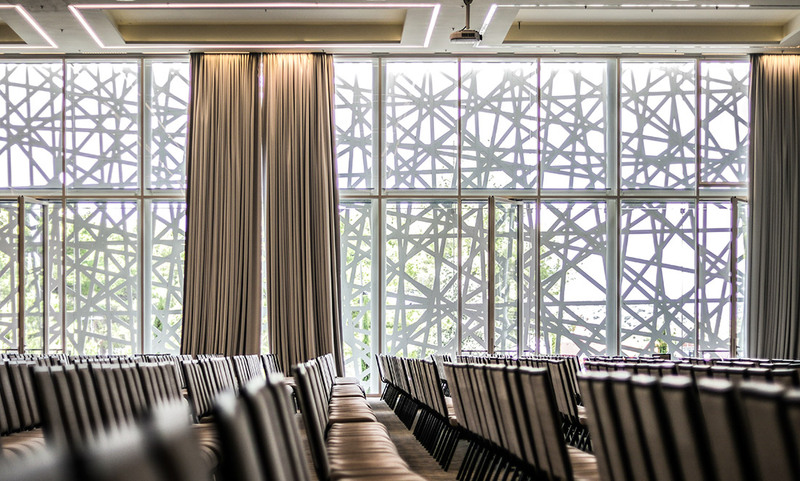 The APCC seeks a new expression, which is achieved through a regular volume wrapped by a perforated façade inspired by traditional Croatian lacework. The color-suppressed and neutral presence of whiteness of the existing buildings is expanded through the airiness of the structure and texture of the facade, through the tithe of the game of light and shadow. The layout of the building is clearly zoned by so-called “Horizontal and vertical streets”. 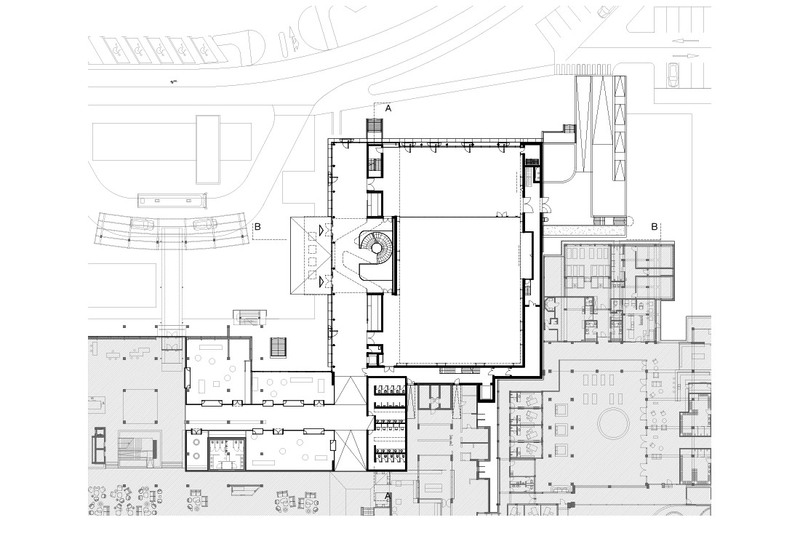 The “Horizontal Street” is the main link to the existing building, but also the access to the congress halls. Through the glass facade, indirectly through the perforated facade, it communicates with the square, while being exposed and hidden at the same time. 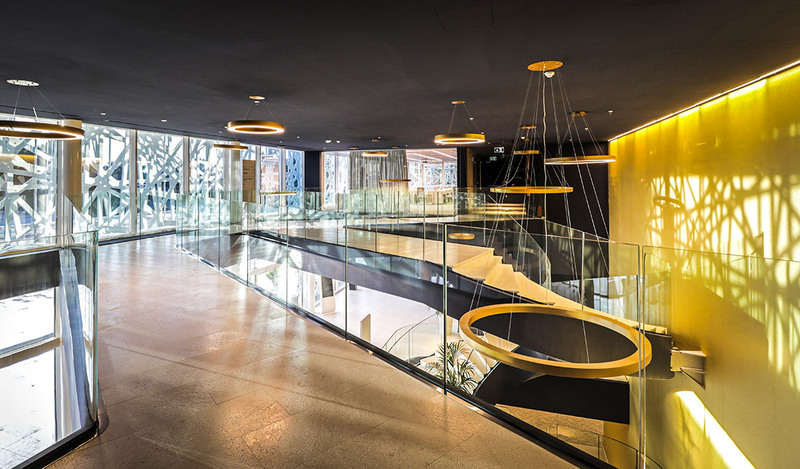 Immediately at the entrance, the accentuated main vertical communication linking all three floors of the building is found. This “Vertical Street” shaped as a spiral staircase is linked by a bridge on the upper floor with a two-story entrance hall space. 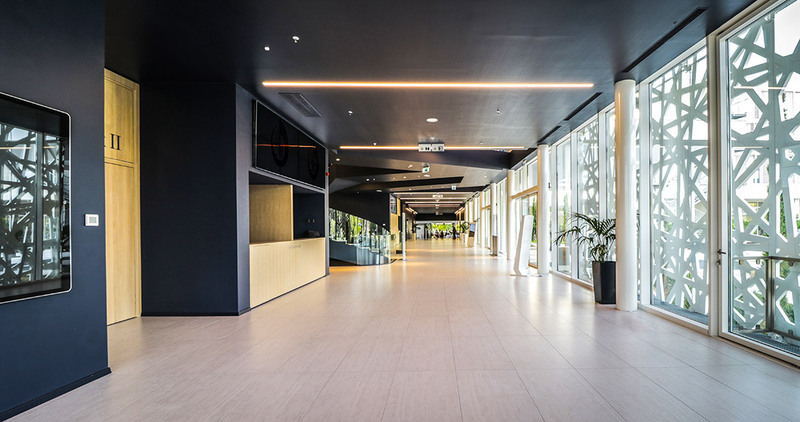 The AMADRIA PARK CONVENTION CENTRE is a unique building that enjoys an incredible location being situated along the Croatian coast, which gives the building its simple form and minimalistic approach being surrounded by nature. 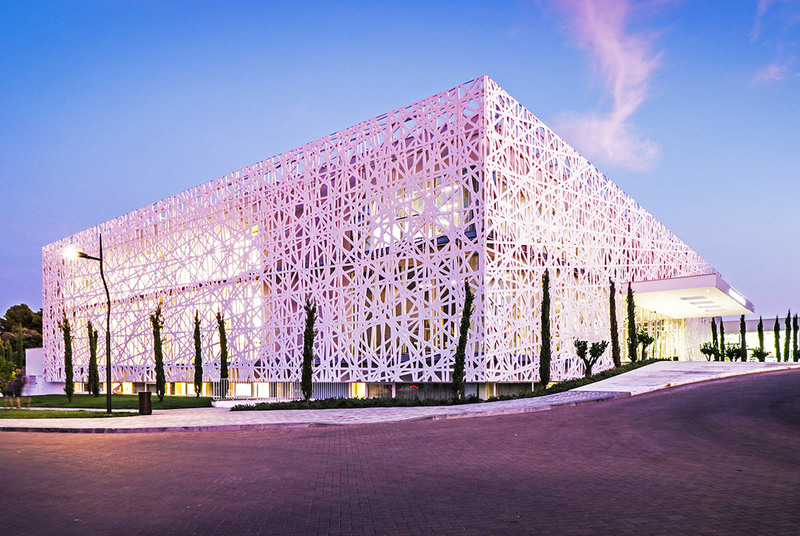 Thus, through the use of a translucent façade (a stylized interpretation of the traditional Croatian lacework), the convention centre becomes part of its immediate context.